The schisms in Kashmir society have been a way of life for long. They have been as varied as they are layered sometimes bordering on ludicrous. Imagine the ‘othering’ that we have lived with most of our lives; for every one of us living on the floor of the valley, every other person coming from the hills is a Gujur. On the other hand, you would see a Gojar taking umbrage if a Bakerwal is mistakenly called a Gojar or a Gojar being called a Pahadi. Similarly, if everyone from the rural districts is a Groos for the inhabitants of Srinagar, the townspeople in these districts use the same derogative term for the village folk of the same district. Fortunately, even as this divide has been there for long it has not been divisive beyond small banter. There are some other such old divisions in our society which merit a mention. The political divide of urban politics into Sher and Bakra needs no elaboration. In not so distant past it was a ubiquitous feature of the urban lives and added much grist to the social and political mills. Unlike today, however, the sectarian rift was very discreet and not much of an issue earlier. Even as there were the Tchekke or Khosh Aetiqaed paralleling the Kotte or the Badd Aetiqaed, the division never became violent or virulent. Many other such schisms based on lineage, wealth and occupation have also existed within Kashmir society. For most of the times, barring a few decades of blood-curdling animosity between two rival political factions, they have been harmless and sometimes even funny. Not anymore! Even as the classic divide between Haves and Have-nots was not much of significance in earlier times, it has now become a reality. It is a reality that is yet to be understood and grasped by the society, which is struggling at various fronts on a daily basis. This economic divide has its roots not only in rapidly changing social mores but in the upward mobility of incomes of the large middle class. The original sub-economies of the valley which ensured lesser dependence on imports from outside have taken a larger beating in the wake of the rapid growth of the organized sector and increased purchase power of the common people. 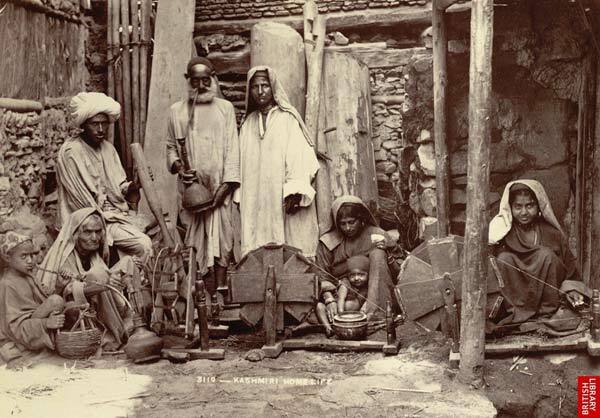 Accordingly, people associated with small indigenous trades like tailors, masons, darners are increasingly becoming marginalized- and more despondent. Same is the case with artisans which were aplenty in the erstwhile city now called the Shehre Khaas. 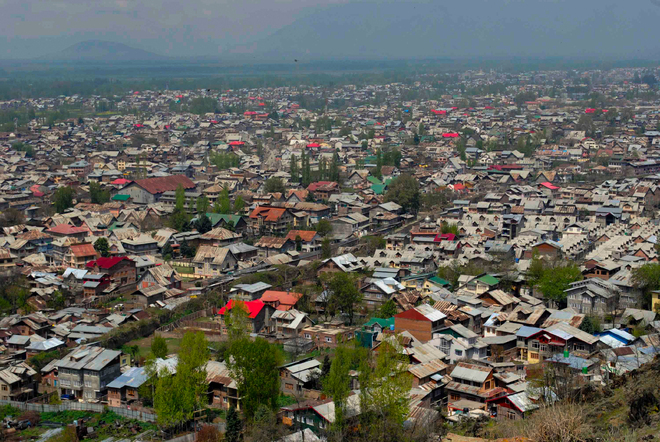 Once there used to be entire mohallas engaged in a single trade in the city interiors named after the occupation the people were associated with: Saraf Kadal, Jabgari Pora, Kamamnagar Pora, Bandook Khar Mohalla, Gaenz Khod, Waza Pora, many such localities providing employment to thousands and sustaining countless families. 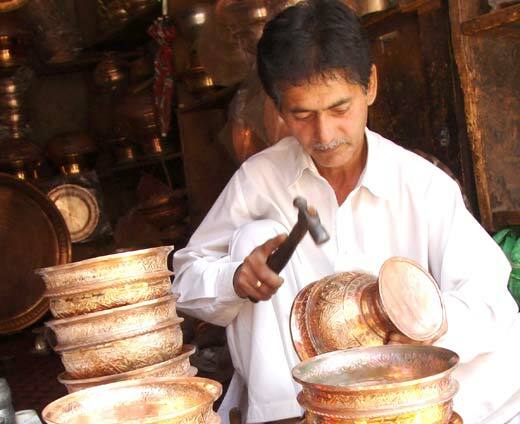 The fate of Kashmir handicrafts is known to everyone and the plight of artisans associated with crafts has been profiled many times. 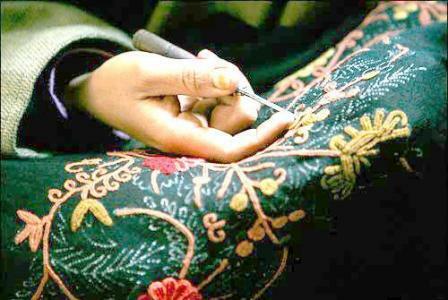 The artisans associated with these famed crafts have slowly shifted to lesser trades and manual labour. More importantly, what has escaped the attention of chroniclers, policymakers and the society alike is the plight of artisans associated with not so famous crafts. The Tilla walas, the Rafugars, the coppersmiths, the silversmiths, bangle makers and others are slowly becoming an extinct tribe. This has resulted in a huge mass of population jobless. The social fallout of this change is seen as a widening divide between those who have lost their livelihoods and those who have moved to further avenues. Ironically it is the city of Srinagar, the original city that is witnessing this huge divide between Haves and have-nots. A senior doctor, himself from a rural background, but posted in the SMHS Hospital in Srinagar has seen this divide through his experiences with his patients. “The patients hailing from rural area easily comply with my instructions of depositing fees and getting various tests conducted”, he says. “However that is not the case with patients hailing from the downtown.”. Such patients, he said, “haggle for every penny to be sent and lose their patience and cool easily”. The doctor says that he was earlier very surprised by such behaviour but after giving due thought to this he understood the phenomenon. “The patients from the city coming to government hospitals are mostly from modest economic backgrounds. They are mostly rickshaw drivers, daily wagers and other blue collar workers”, says the medic. “For them, it is difficult to save money for affording the luxury of medical care”, he adds with a visible tinge of pain in his voice. Abdul Rashid, a social activist hailing from the city and still living in its interiors, says he has seen the economic divide cropping up in the city very close over the decades. “Go to any area of the Shehre Khas”, he says “you will find nothing Khaas (special) anywhere”. Danish Hussain teaches at City College. He says that his interactions with students dwelling from the city have made him wiser about the reality that is yet to dawn on us fully. “The students I teach in the college may come across to you as rude and uncouth. But when you delve deep into their personal stories, you will come across gory stories of abysmal poverty,” he says. Danish believes that “it is a miracle if a downtown kid makes it to the college”. “The kids are forced out of school at an early age to support their family by doing menial jobs,” quips his colleague who was listening to the conversation intently. 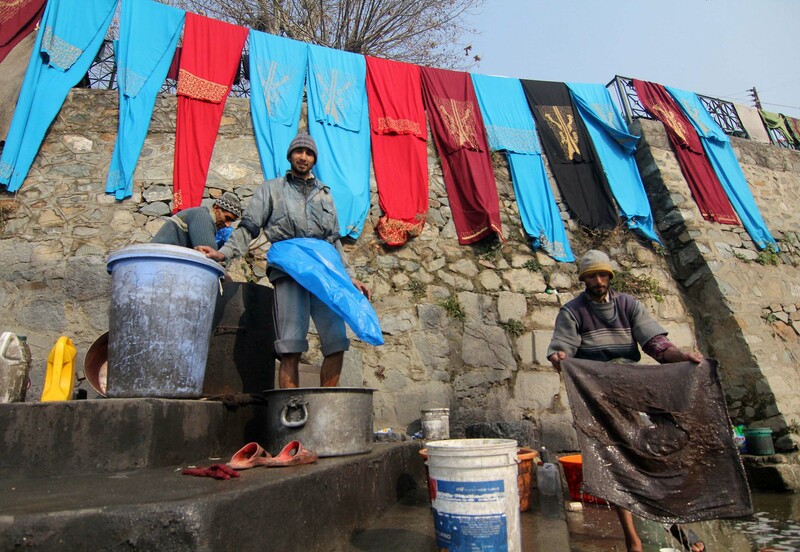 One may ask, is economic marginalization only an urban phenomenon in Kashmir. Khursheed-ul-Islam, a sociologist replies to this question in an affirmative. “There are two reasons behind this”, explains Khursheed. “The artisans who were solely dependent on crafts were mostly and largely confined to the city. The artisans in the rural areas had an agrarian background to lean upon while as the city dwellers have absolutely no other source of income except the trade they are in” he says and further elaborates by saying that even the smallest of farmers in the rural areas have at least a small backyard garden where they cultivate enough vegetables to keep their hearth warm all around the year. “That is not the case with people living in the downtown. These people live from hand to mouth, shave their faces daily, hide their miseries and put up a brave front to salvage their urban pride”, remarks Khursheed. A society grappling with larger issues and larger divides are, however, relatively oblivious to this divide. With the public transport almost non-existent in the city, the haves of the city passes the old city on air-conditioned four-wheelers with the window glasses drawn up to avoid the stinking Babe Demb as well as the god-forsaken inhabitants who live around in an area that boasts of being the second oldest city in the world. The have-nots live and die in their own world and have lesser interactions with the Haves except for an occasional Auto-rickshaw or a city bus ride. Iqbal (name changed on request) is 45 years old and lives at a place which was once a major station for the elites of Srinagar to hire a Doonga and to have joy ride to the Dal. With the demise of the Nallah Mar, the station today is a large drain covered with a concrete slab. Born to a labourer father with a large family to support, Iqbal has been working since the age of 8. He has done all kinds of jobs. From a mini-bus conductor to ultimately it driver, he now owns a luxury tourist cab purchased with the help of a bank loan. Iqbal lives in a one-room tenement that he has inherited. This one room is the all-in-one home for his three kids and his spouse. Moving to a better house is a dream that Iqbal feels never get fulfilled in his lifetime.